Immediately following the film’s release. With The Predator set to arrive in theatres on September 14, BAPE will release a capsule collection with a range of commemorative graphics. The extraterrestrial character is featured on an assortment of hoodies, crewneck sweatshirts, and T-shirts along with BAPE’s signature graphics. For instance, Baby Milo transforms into the alien monster on two tees, while the actual Predator design can be seen infused with the iconic BAPE head graphic. 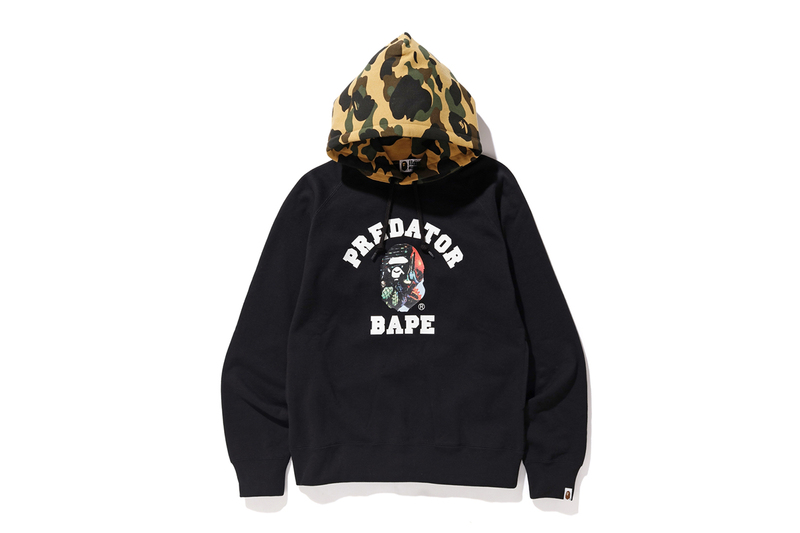 The hoodies will be released in green and yellow camo iterations with the “PREDATOR BAPE” graphic taking center stage. Look for the items to hit A BATHING APE stores on September 15. In other news, Kanye West is set to open a YEEZY office in Chicago. Rumored to release in a number of colorways. An upcoming sleek look for the runner.